Video: Los Gatos Farmer's Market. Los Gatos is one of the South Bay's most desirable (and exclusive) communities, and the residential choice for many Silicon Valley executives. The reasons for its allure begin with an outstanding location - one that allows quick commutes to high-tech companies in the Valley and easy jaunts to the beach. Elegant Los Gatos estates enjoy great views of the Santa Cruz Mountains and the serene wooded hillsides. There are neighborhoods of carefully restored Victorian homes and 1940s bungalows just a quick walk from the town plaza, where chic boutiques and four-star dining await. Plus, public school students are top scorers in state tests, and town officials have moved quickly to make Los Gatos a showplace of municipal environmental responsibility. A mineral spring similar to the famous Saratoga Springs in New York state gave California's Saratoga its name in 1865 - and has made it a popular resort for decades. Rich soil and the area's Mediterranean climate have also proved to be the perfect environment for growing fine wine grapes. Famed vintner Paul Masson created an estate in Saratoga, whose buildings and arboretum are now open to the public. Saratogans have always fought hard to keep their town small and residential. It remains fairly rural, a town surrounded by towering redwoods, with bans on sidewalks and street lights in some neighborhoods. Saratoga - like its neighbors Los Gatos and Monte Sereno - is a quiet haven for the wealthy, who appreciate their excellent restaurants, antique stores, European bakeries, vintage architecture and first-rate schools. Today, many of the largest technology companies in the world are headquartered in the city, including the Fortune 1000 companies Google, Symantec, and Intuit. Mountain View has a pedestrian-friendly downtown centered on Castro Street, with a high concentration of diverse restaurants, cafes, and shops. Chez TJ, one of the few restaurants rated by the prestigious Michelin Guide in the Bay Area, is located there, as well as the Tied House, one of the first brewpubs to open in the Bay Area. 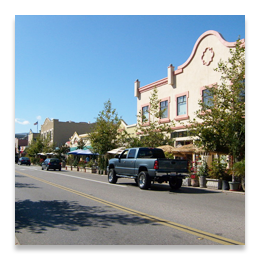 Los Altos means "the heights" or "foothill" in Spanish, and was originally an agricultural town full of summer cottages. Over the years, Los Altos – which is located 35 miles south of San Francisco - has become an affluent bedroom community, somewhat like Los Gatos. Commercial zones are strictly limited to the downtown area and small shops, offices and parks line the main street. Los Altos strives to maintain a semi-rural atmosphere and has few sidewalks beside those in the commercial zones. In fact, most roads have broad dirt shoulders and little or no street lighting. And, the civic center sits in the middle of an orchard, a remnant of those that once covered the area. The minimum lot size for most residential housing is one-quarter of an acre. 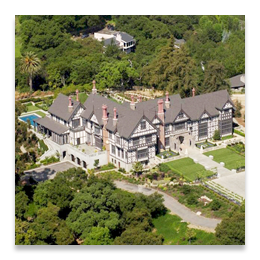 Many Los Altos homes fetch $2 million and higher, putting the city on Forbes' "Most Expensive ZIP Codes in America" list in 2007. Incorporated in 1956, the Town of Los Altos Hills is a premier Silicon Valley residential community located adjacent to the City of Los Altos and five miles south of Stanford University. The advocates of incorporation were dedicated to the "preservation of the rural atmosphere of the foothills and orderly and unhurried growth." Residents are encouraged to become active in Town governance, serve on Town committees and participate in local events. 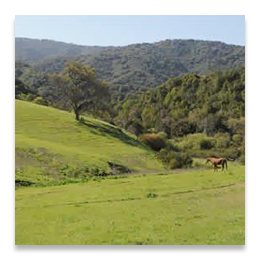 Moreover, residents should avail themselves of the unique rural nature of Los Altos Hills by using the extensive pathways system, enjoying the views, visiting the preserves and meeting neighbors during the process. 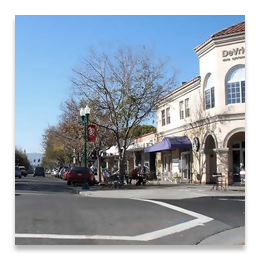 With its charming historical downtown, safe streets, strong sense of community, highly regarded schools and relatively modest real estate prices, Campbell has become one of the Santa Clara Valley's most desirable residential communities. Home to 38,000 residents, it's part of what's known as the "West Valley," along with its tony neighbors, Los Gatos and Saratoga. When it comes to location, location, location, Campbell has all three: Campbell sits just a short drive away from Mineta International Airport, Silicon Valley's work places, Downtown San Jose's cultural attractions, Santa Cruz mountain wineries and Santa Cruz beaches. 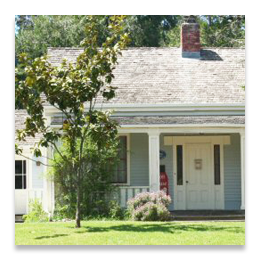 Campbell was settled in 1851 by hay farmer Benjamin Campbell, whose original 160 acres today comprise Campbell's historic downtown. During the century that followed, the business of growing, drying and packing prunes and apricots dominated the city's life. In 1952, Campbell was incorporated, and Orchard City's orchards gave way to homes and retail centers. Many of the city's landmarks, such as Water Tower Plaza and The Pruneyard shopping center tip their hat to Campbell's proud agricultural heritage. One of Silicon Valley's most attractive residential areas, the South San Jose community of Almaden is distinguished by rolling hillsides and a rural Old California ambience. "One of the most gorgeous landscapes in America," the Greenbelt Alliance calls the Almaden Valley, most of which falls into the 95120 zip code and is incorporated into the City of San Jose. The key local attraction is Almaden Quicksilver County Park, which contains remnants of a historic mercury mine that produced more than $75 million in mineral wealth from the Gold Rush era to the 1970s. The San Jose mine's name came from the Almaden Mine in Spain. 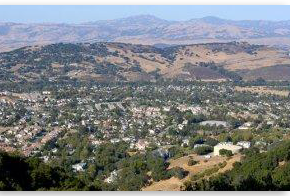 Almaden Valley is one of the most desirable neighborhoods in San Jose, California -- or anywhere. Many homes are in the $1 million-plus range, with a few in the high six figures. With its ideal climate, highly regarded schools and quiet neighborhoods, Almaden Valley represents an opportunity to experience the classic California lifestyle. 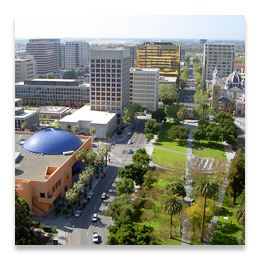 San Jose is the third-largest city in California, the tenth-largest in the U.S., and the county seat of Santa Clara County. San Jose was founded in 1777, as El Pueblo de San José de Guadalupe, the first town in the Spanish colony of Nueva California, which later became Alta California. The city served as a farming community to support Spanish military installations at San Francisco and Monterey. When California gained statehood in 1850, San Jose served as its first capital. After more than 150 years as a small farming city, San Jose and the surrounding Santa Clara Valley became the last (and largest) contiguous area of undeveloped land surrounding the San Francisco Bay. San Jose experienced increased demand for housing from soldiers and veterans returning from World War II. It was then that San Jose began aggressive expansion during the 1950s and 1960s by annexing more land area. The rapid growth of the high-technology and electronics industries further accelerated the transition from an agricultural center, to an urbanized metropolitan area. 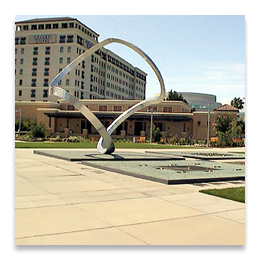 By the 1990s, San Jose's location within the booming local technology industry earned the city its nickname, Capital of Silicon Valley. San Jose now maintains global city status and is the largest city in the San Francisco Bay Area in terms of population, land area, and industrial development. Both Cupertino residents and visitors enjoy Cupertino's comfortable suburban lifestyle, ample recreational amenities and proximity to the cultural and commercial attractions of San Francisco, Palo Alto and San Jose. Cupertino is home to DeAnza College, one of the top community colleges in Silicon Valley, and home to world-famous Apple Computer – as well as numerous other high technology firms. 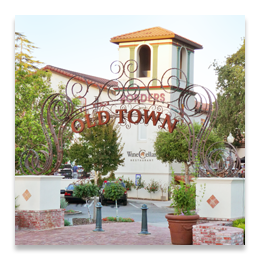 In addition to being a great place to live, Cupertino offers many options to visitors who wish to dine, shop or stay overnight in a friendly and diverse community welcoming to all. Cupertino has great schools, beautiful sun-drenched hills, and plays a central role as anchor of Silicon Valley—which is why Cupertino one of California's most desirable communities. Scotts Valley is a small city about thirty miles south of downtown San Jose. Principal access to the city is supplied by State Route 17, which connects San Jose and Santa Cruz. 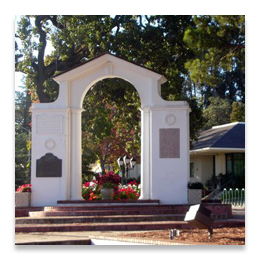 From its early years as a stop on the stage route across the mountains, the Scotts Valley area has provided many services to travelers. With the growing popularity of the automobile in the early 20th century, the area became commercialized and tourism developed as a local industry. Santa's Village was established in 1956. It was the most popular of the many attractions, attracting millions of visitors to Scotts Valley for over twenty years, and it was the last of Scotts Valley's theme parks to close its doors, in 1979. Many high technology businesses are located in Scotts Valley, including the headquarters of Seagate Technology (the world's largest producer of computer hard drives), E-mu Systems and Sessions, a company that makes clothing for snow, skate and surf-boarding. 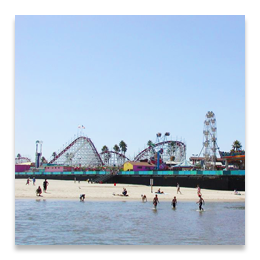 Famous for surfing and the wooden roller coasters at the Beach Boardwalk, Santa Cruz is much more than a string of gorgeous beaches dressed up in pretty lights. Home to more California state parks than any other county, Santa Cruz features magnificent redwoods and miles of hiking and mountain biking trails, as well as museums, skateboard parks, a UC campus, golf courses, shopping districts and the aptly named Mystery Spot. It also has a formally recognized winegrowing region—the Santa Cruz Mountains AVA—which has winning notice for its pinot noirs. The real estate market in Santa Cruz County is as varied as the terrain itself, with neighborhoods ranging from posh and expansive near the beach to semi-rural farther inland. Thanks to the legacy of organic farming innovator Alan Chadwick, who came to UC–Santa Cruz in 1967 to start a student garden and ignited a movement, Santa Cruz is a center of sustainable agriculture. And that means loads of fresh organic produce available year-round to local chefs.